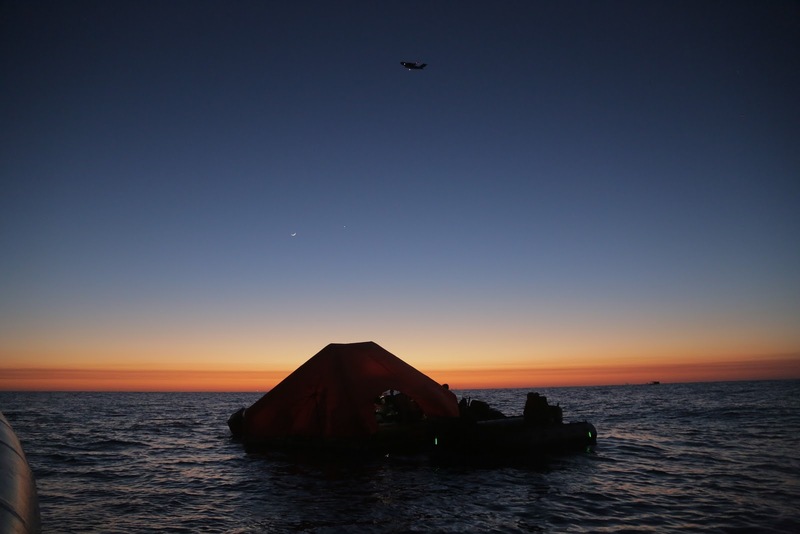 American Astronauts will soon launch again from U.S.
U.S. Air Force “Guardian Angel” Pararescue specialists secure a covered life raft, during an astronaut rescue training exercise off of Florida’s eastern coast in April 2018. 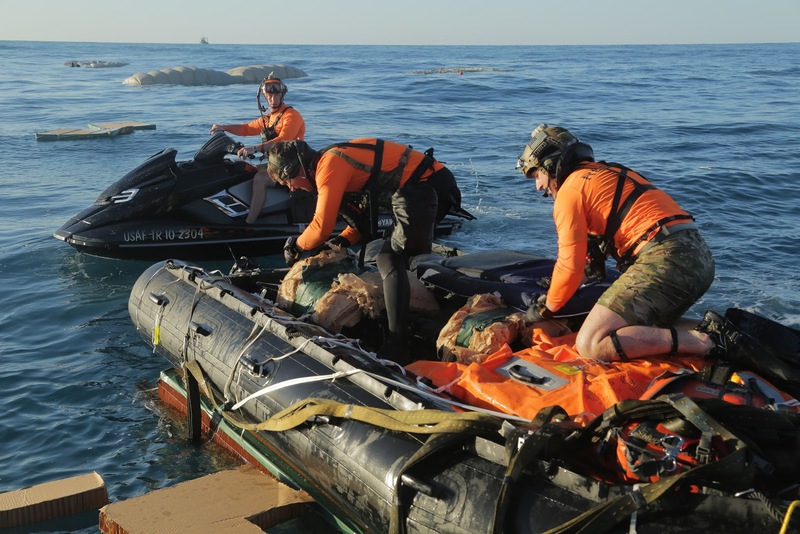 The specially designed 20-person life raft is equipped with enough food, water and medical supplies to sustain both rescuers and crew for up to three days, if necessary. 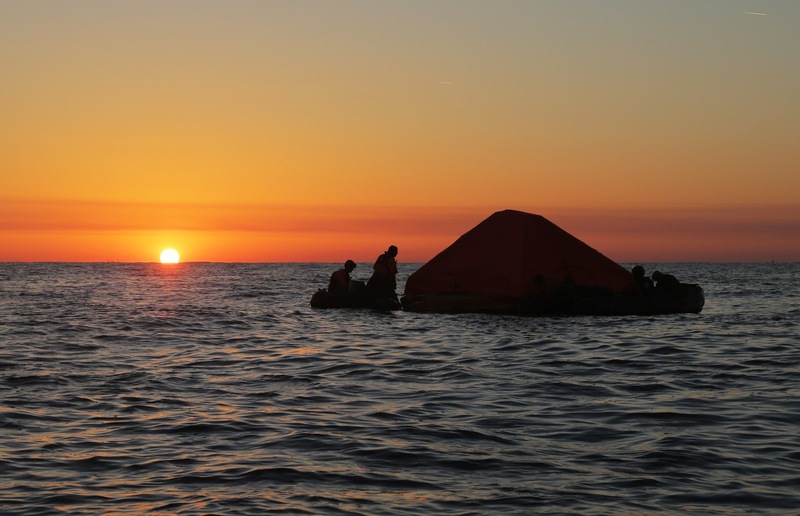 Rescue and recovery involves meticulous planning and close coordination between NASA, the Department of Defense, and company recovery teams from NASA's commercial partners, Boeing and SpaceX. Boeing's Starliner and SpaceX's Crew Dragon spacecraft are being developed and tested to fly astronauts to and from the International Space Station, from U.S. soil. In the event of a variety of contingency landings, an elite team is prepared to rescue the crew anywhere in the world.